Industrial heating, ventilation and air-conditioning fans and blowers, commercial ventilating centrifugal fans, blowers, ventilators, high pressure blowers, high temperature oven exhaust fans and blowers; and wall / roof exhuast fan ventilators. 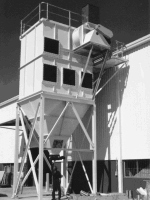 Suppliers of industrial, process and commercial fans, pressure blowers and ventilators. 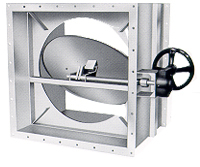 Sales of high temperature oven exhaust fan blowers. Heat transfer finned coils for a variety of applications. We will build a coil to your design or you can tell us your requirement and we will design it using our computerized coil selection programs. We specialize in rapid delivery of replacement coils. Chilled or hot water / glycol coils suited to a wide variety of applications - from commercial HVAC to industrial preocesses. 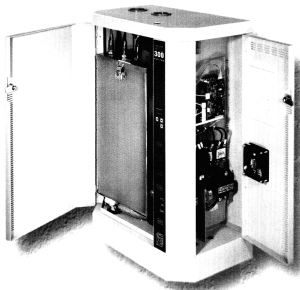 Induvudually designed to optimize performance on air conditioning or high to medium temperature refrigeration applications. Designed to handle your condencing or heat reclaim requirements. For your special applications or a "one-of-a-kind" replacement. Corrugated, die formed tempered aluminum. Various fin spacings available. 1/2" OD x 0.018" or 0.028" wall; or 5/8" OD x 0.020" wall seamless copper tubing. Heavy wall seamless copper tubing - sozed to the application or to match an existing coil. 18 gauge G90 galvanized steel; configured to each application.